implements much of the ISO Modula-2 base standard. This is copyrighted freeware being distributed "as-is". new generation Amiga software with a Wirthian language. - Compiler bugfixes and improvements. 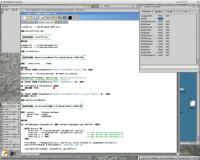 - M2IDE added features and GUI improvements. - Updates most Amiga library interfaces to SDK 53.20. > The pre-Linker used for building programs. > The M2IDE development environment that comes with it. > IDLTm2 tool to produce amigalib Interface DEFINITION mods. 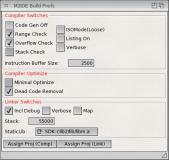 > A case test generator program, tgM2, for Modula-2. > A TestManager harness program for running tgM2 test cases. > The GuideMaker program on OS4Depot. > The LoggerWindow program on OS4Depot. > The compiler compiles itself. > The Capture Challenge game for programmers. machine code for a correct Modula-2 program. compilers are available without cost for different platforms. etc, without having to become an expert in all the details. straightforward nterface to common needs.